In early August, we watched with horror as the study wall literally began to disappear as we began exposing the sheathing. 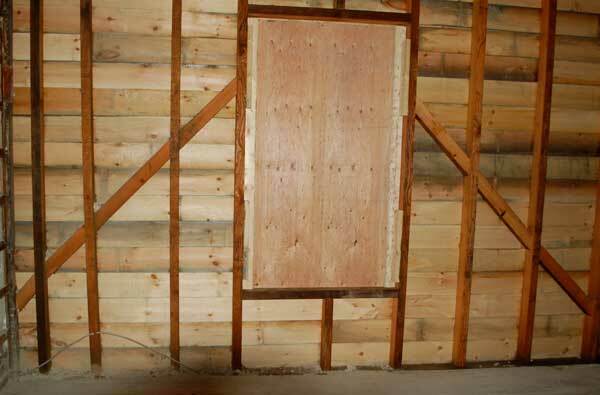 Years of unchecked water infiltration had completely destroyed the integrity of the sheathing and framing, so where it existed at all, it crumbled to the touch. So, it was a good thing to see a solid replacement it its place last weekend, awaiting the return of its window sash (sorry still need some work on the jambs and sill). 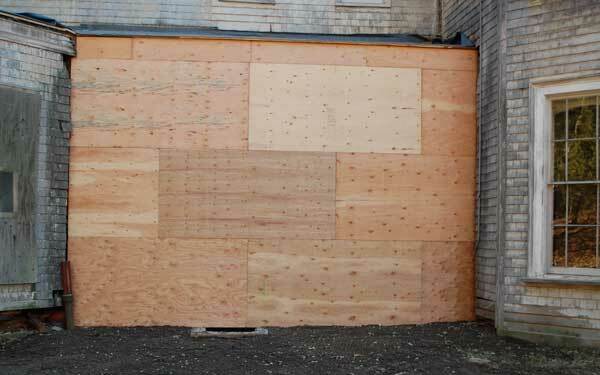 Until then, we are looking at plywood (keeps the critters out).